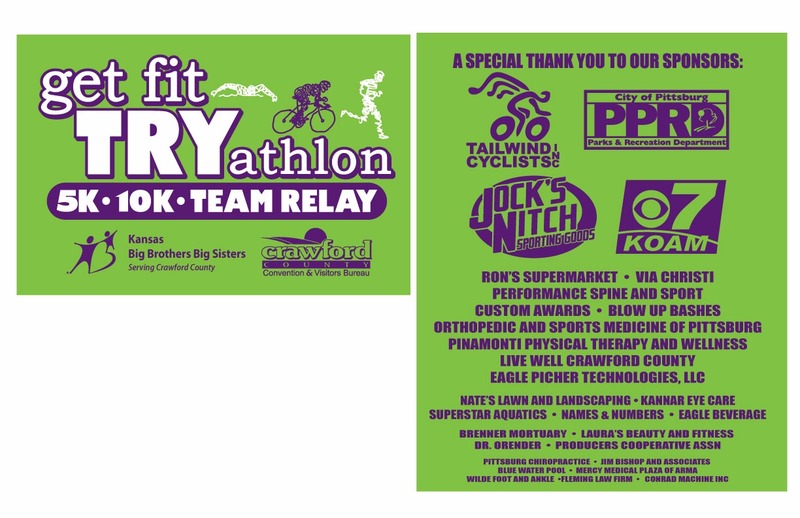 Click here to sign up for the Get Fit 5K/10K. 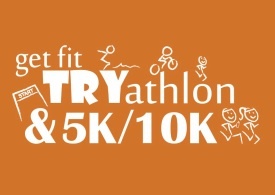 All participants are invited to the free TRYathlon clinic on JULY 30th at 9AM to get pointers and tips! Super Sprint Team Relay distance: 100 yard swim, 4 mile bike, 1 mile run. Team can be any combination male/female. Also, with this team relay everyone does swim, bike, and run. Team relay clinic TBD. Team relay pre-meeting will be at 6:35 am. Team relay is by combined age group 60 years & younger, 61-120, 121-180, & 181 & over. 1st place winners. This will be a closed course. 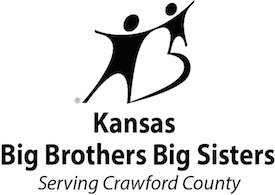 Kansas Big Brothers Big Sisters (KSBBBS) operates under the belief that inherent in every child is the ability to succeed and thrive in life. What sets us apart from other mentoring organizations is that we provide one-to-one mentoring. This means we match one volunteer with one child. We are not an afterschool program. Instead, our unique program helps develop positive relationships that have a direct and lasting effect on the lives of Kansas kids. Mission: provide children facing adversity with strong and enduring, professionally supported one-to-one relationships that change their lives for the better, forever. Vision: all children achieve success in life.